So after an impressive St Patrick’s day at Cheltenham, where I got 3 wins and 2 places from my 5 selections (If you don’t believe me you can check here), we turn our attentions to the final day and with it comes the main event of the Gold Cup. There is more rain predicted overnight and I can’t see the ground improving much so expect more soft ground for tomorrow’s races. This years race is a tough one, Might Bite comes into it as favourite after displaying probably the most impressive performance of the festival last year when he won the RSA Novices chase. 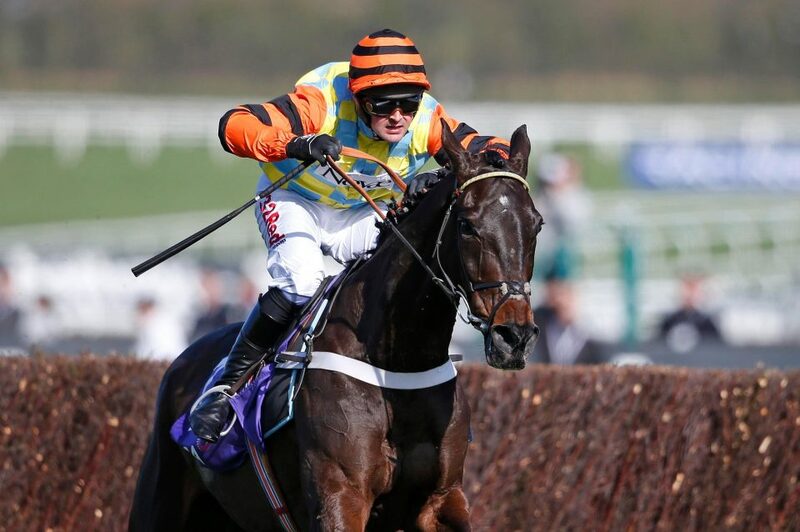 He has gone on to win the King George VI Chase and arrives in impeccable form. The only question mark is if Might Bite can handle the additional stamina test the ground is going to throw at him. There are plenty of candidates who can challenge the favourite if you feel the going can throw up some surprises. It is notoriously hard for horses to return to the Gold Cup and win but if I had to choose one of the returning horses I would go for Native River. After finishing 3rd in the Gold Cup last year he has been primed for this event and he won the Denham Chase by 12 lengths last month proving his class. He will enjoy the ground and is a good jumper so he should be there or thereabouts again. For some better odds I would look at Road to Respect, Definitley Red and Djakadam. The first two are arriving at the Gold Cup for the first time. Road to Respect won the Festival Plate at Cheltenham last year and has been kept fresh following a win in the Christmas Chase. Trip and going shouldn’t be an issue and the improving horse offers an interesting option. Definitley Red thrives in a stamina sapping test so the softer the ground the better the performance. His last outing was the Cotswald Chase, in heavy going, which he won by 8 lengths from The American who also features. Djakadam on the other hand is back for his fourth attempt but is a horse Willie Mullins always thought was going to win the Gold Cup. He has finished 2nd twice and 4th once so he’s aways in the mix. Currently at 33/1 it might be worth a couple of quid to see if he can finally pull it off. I will have to go for the favourite in the first race of the day, Apple’s Shakira runs in the Triumph Hurdle at 13:30pm. He has won all three starts at Cheltenham this season and loves soft ground. Similiarly, Santini in the Novices Hurdle at 14:50pm ran well at Cheltenham in January in heavy going and also beat Chef Des Obeaux, one of the other favourties for this race, by 4 and a half lengths in December. It is a tightly contested race so if you were looking for some better value then Calett Mad offers some form over distance and going. Wonderful Charm finished second in The Fox Hunter’s Chase last year and could get revenge on his stable mate Pacha Du Polder this year. Wonderful Charm has had the better of the preparation this year so should run well. Another interesting option is Young Hurricane who downed better-fancied rivals when landing last season’s Stratford Champion Hunters’ Chase and comes here with big odds. Finally, The Martin Pipe Handicap Hurdle at 16:50pm. Usually won by one of the big trainers with Willie Mullins winning it three times in recent years and Gordon Elliot winning it last year. I’m siding towards Elliot and Flawless Escape to win it two years on the trot.